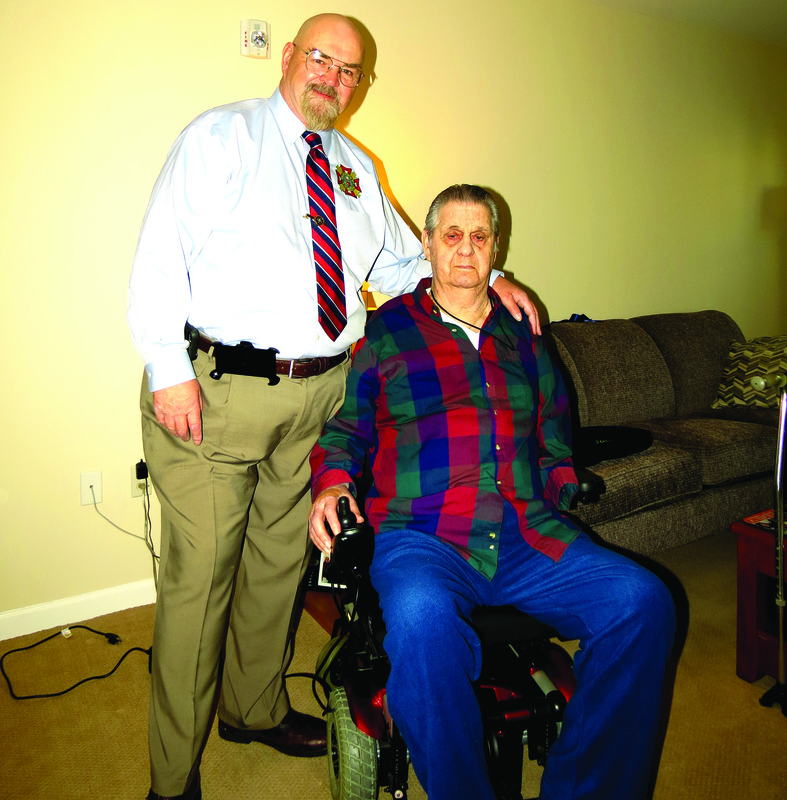 Gerard Maguire, the Veteran’s Services Officer for the Towns of Boxford and North Andover delivers a custom fitted electric wheelchair to WWII hero Army veteran Richard Lussier of North Andover. 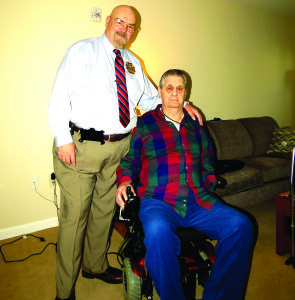 NORTH ANDOVER – Last month The Valley Patriot went along with Gerard Maguire, the Veteran’s Services Coordinator for the towns of North Andover and Boxford as he delivered a custom fitted, electric wheelchair for a WWII hero veteran who lost his arm in battle and now is unable to walk. Richard Lussier fought against the major offensive push by the German military near the end of World War II. Serving with headquarters, 78th Infantry Division, at only nineteen years old, Lussier would display an act of bravery so great that it earned him the Silver Star. The battle raged from December of 1944 through January of 1945, a period of about sixty days. It was a decisive battle, turning the tides of victory in the direction of the Allied Armed Forces against the German military. Sergeant Lussier, now ninety-one years old, recalls the day he entered an old farmhouse. Once inside, he cleared the first floor. But, startled by a noise that came from the direction of the cellar, Sergeant Lussier descended the stairs where he had discovered that there were 27 German soldiers hiding from the advancing American army. Sergeant Lussier, tired, afraid, and armed with his M-1 Garand, raised his weapon toward the enemy. The German soldiers, as it turns out, were also tired and afraid. Thinking this was the end, Sergeant Lussier prepared to fight to the end when, amazingly, the German soldiers just laid their weapons on the ground and put their hands in the air! Sergeant Lussier, still alone, then marched the Nazi soldiers out to where his unit was just arriving. The battle continued to rage and the 78th Infantry Division would advance to Berlin. The following day, after making the capture of the 27 German soldiers, the 78th ID was engaged in a fierce gun battle where Lussier was shot in the left arm. “Just before we were to go into Berlin, I saw the rifle scope of a sniper. 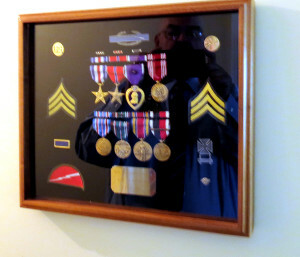 We were the support troops for the Battle of the Bulge,” Lussier told The Valley Patriot. Lussier’s wound was so severe that his arm would have to be amputated. While Lussier lay in a hospital bed for over a year recovering from the surgery, Berlin fell to the Allied Armed Forces, specifically as the Soviet armies advanced leaving a peaceful entry for the other three allies to advance on Berlin. During his tenure in the United States Army, Sergeant Richard Lussier was awarded The Silver Star, The Bronze Star, The Purple Heart for wounds sustained in a firefight and the Berlin Occupation Medal! 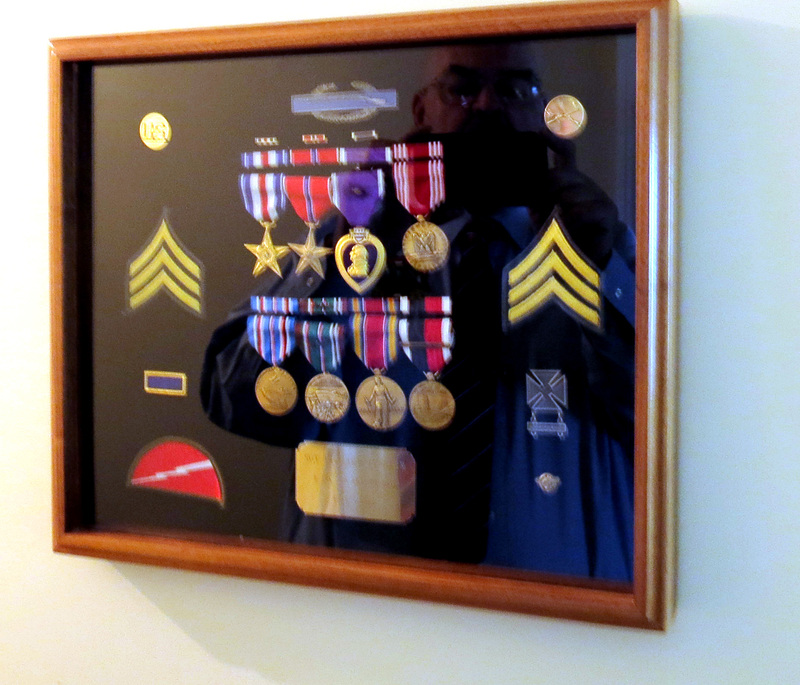 Sergeant Lussier, has served and remains a proud soldier! Thank you Sgt. Richard Lussier for your service and your sacrifice. We are honored to name you as this month’s Valley Patriot of the Month.